What do AHA members collect? 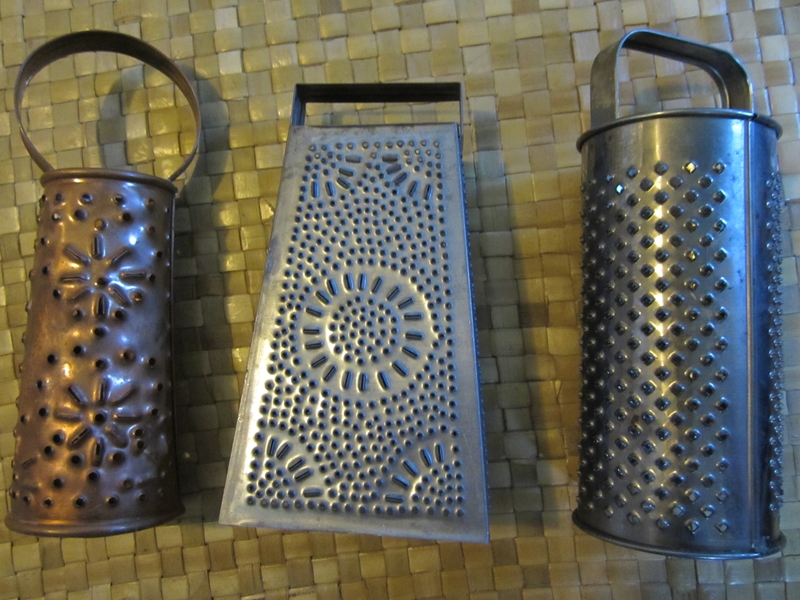 Annie Thomas brought cheese graters from her grandmother who placed candles in them to light the table during holidays. Ruth Horie earned Union buttons collected on picket lines 2001-2012. 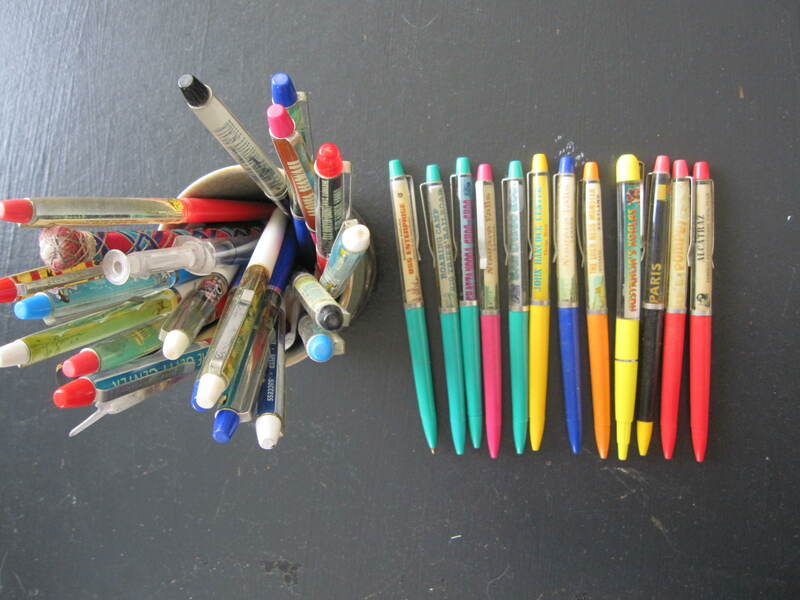 Linda Hee began collecting Floatie pens in the 1980s. Stan got historical & Stuart got curatorial with their interpretive labels. 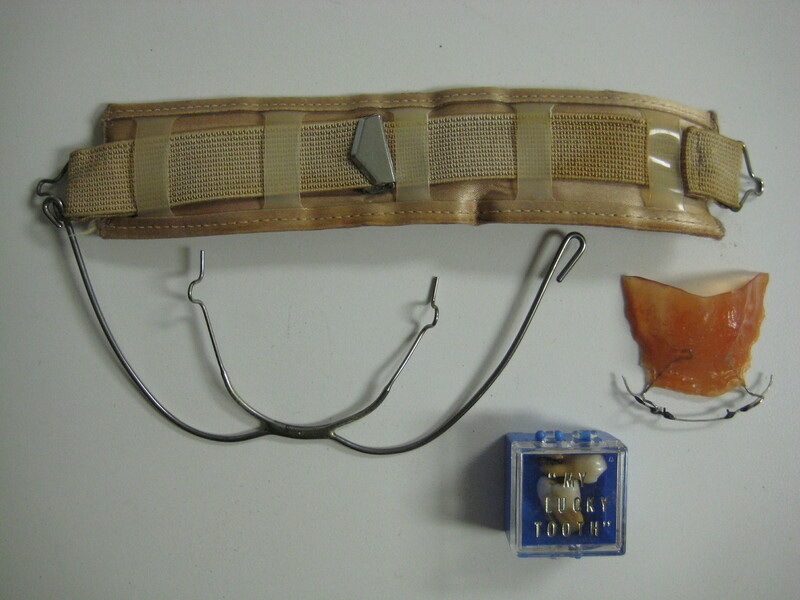 On a nice day in ~1982 it was turned on and then accidentally forgotten; it boiled over and got so hot (Italians don’t use safety switches) that it burned through the kitchen counter, then exploded and blew apart the electric cord (luckily) thus shutting itself off. When it was found, several hours later, it was cool and peaceful in a mixed pool of burnt counter-top and coffee, next to its melted cord. 3. 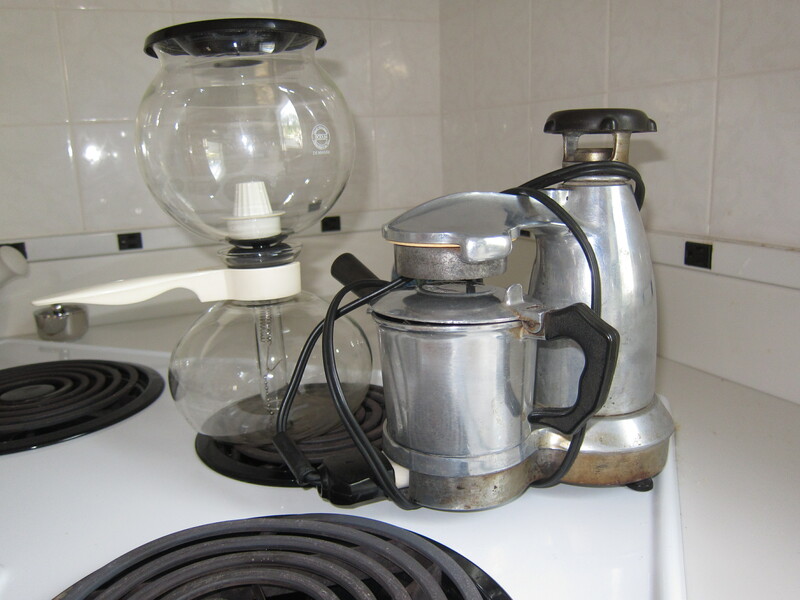 Perfectly working espresso maker, to this very day. Owner’s Description: These tooth-themed objects are from my childhood memorabilia collection. They are reminders of childhood traumas of long ago that seemed so insurmountable at the time. When not on display, these artifacts are usually stored in an acidic and lignin-laden wooden “1886” cigar box that once housed a collection of crayons. Although the container is not up to archival and museum standards, it is also a treasured heirloom given to me by my grandfather. The wisdom teeth are not subject to NAGPRA regulations. Thanks to all who participated in the exhibit! Forty members and guests enjoyed a wonderful buffet prepared by the Culinary Arts Program at Kapiolani Community College, Jocelyn’s thoughtfully prepared talk of her research and appreciation for archives & archivists, and the good company and conversation during a festive evening.